The mountain is a holiday wonderland. Join us for holiday crafts and meet Santa & Friends on the slopes! Enjoy the holidays with winter getaway to the mountains of West Virginia. Take advantage of the new packages offered including Lift & Lodging or Smore’s Fun Getaway over the holiday. Activities include a visit from Mrs. Claus and a reading of “Twas the night before Xmas” as well as a visit from Santa himself on the 24th. Holiday buffets will be offered both Dec 24 and 25th. Buffet menus and event schedule are below for your review. 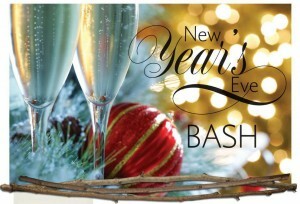 Ring in the New Year at Canaan Valley Resort. Start the evening with a buffet dinner in the Hickory Dining Room. Party the night away with live music from Bryan Elijah Smith and the Black Hearts hosted by Grey Goose. Tickets are limited – purchase today by calling 304-866-4121 ext. 2655. Kidz Korner will be offered for our younger guest.